McKenzie is using Smore newsletters to spread the word online. 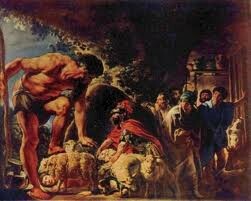 Odysseus was brave. He entered the Cyclops' cave and started to eat his food. The Cyclops is this huge monster who is at least 100X the size of him but he has no fear. He wanted to "test his hospitality" It takes courage to do something like that because you don't know if the Cyclops is friendly or not. 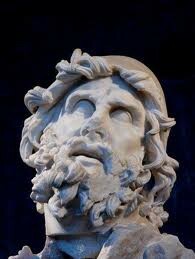 Odysseus was intelligent. He figured out a way to use the Cyclops' club and sharpen it to use it as a dagger. 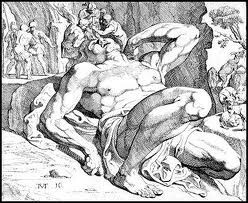 While the Cyclops was asleep, his men held up the club and Odysseus jumped on it, causing it to plunge into his eye and blind the monsterous beast. "His lids and brows were scorched by flame form the burning eyeball" If he didn't do this he would have died! He did this to help him and his men survive. Odysseus was cunning. Before he blinded the Cyclops, he tricked him into believing his name was nobody, so whenever the Cyclops shrieked in pain, he pleeded "Nobody, my friends, is trying to kill me" This way no one could help him becuase they thought he was crazy.